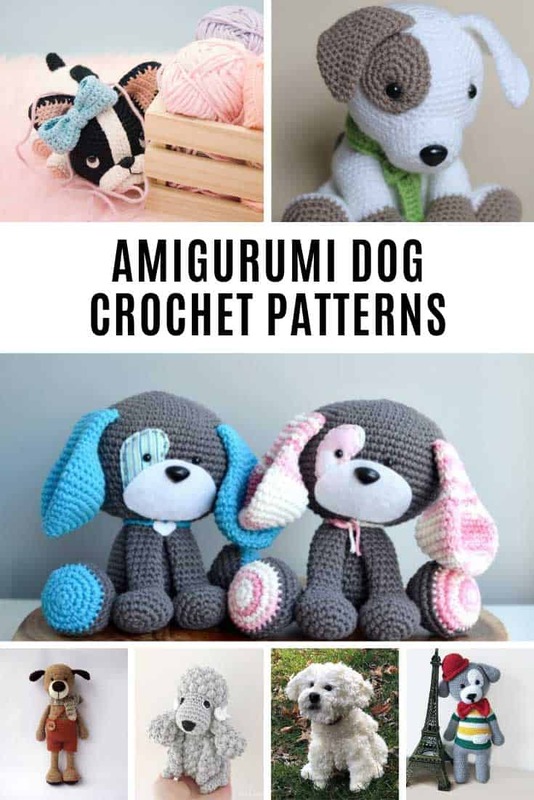 You'll Love These Puppy Dog Amigurumi Patterns - Cutest Collection of Ideas! 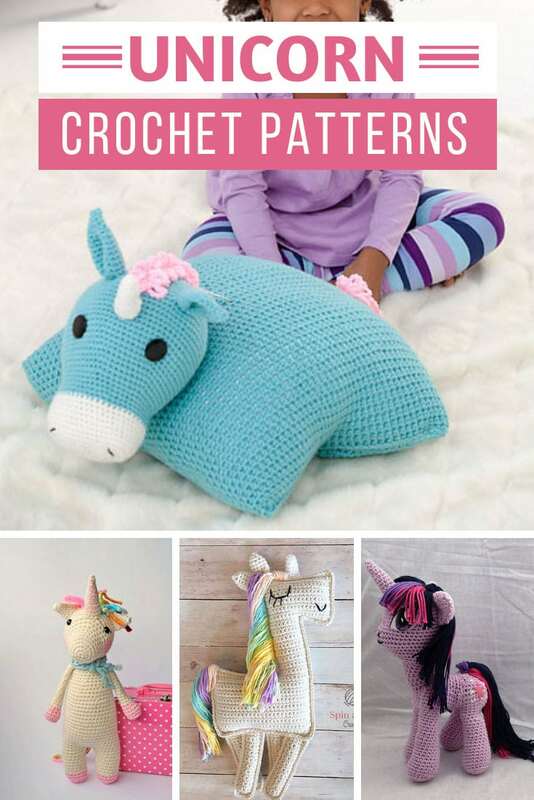 Home > Crochet Patterns > You’ll Love These Puppy Dog Amigurumi Patterns – Cutest Collection of Ideas! 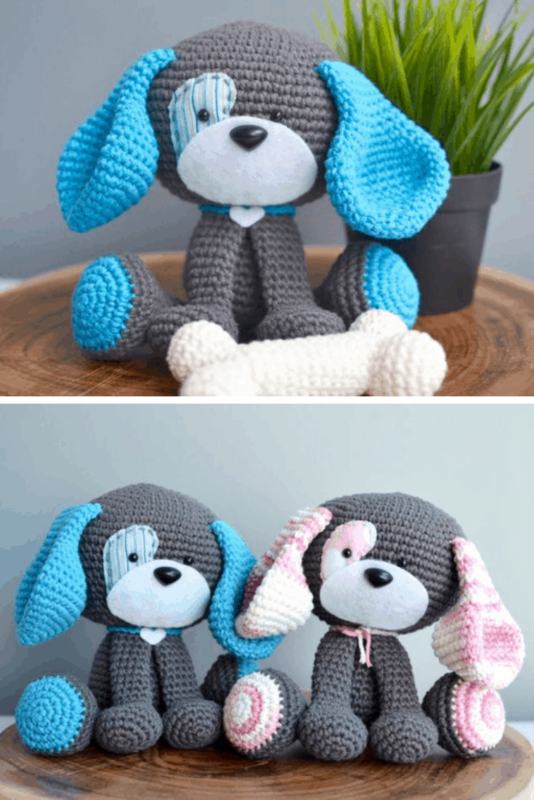 These puppy dog amigurumi patterns are super sweet and you’ll have such fun making them you’ll want to hook a whole litter! 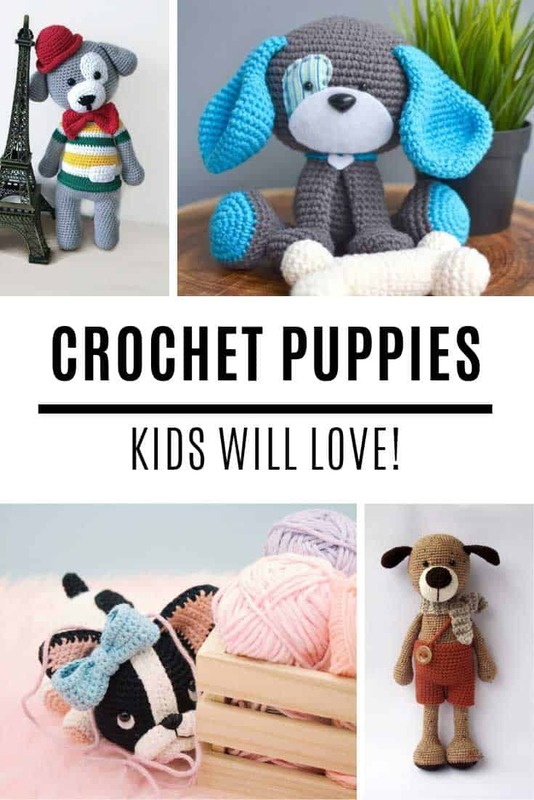 If your son or daughter has been asking for a puppy you are going to love today’s animal crochet pattern collection because I have found the CUTEST set of puppy dog amigurumi patterns any child is sure to fall in love with! 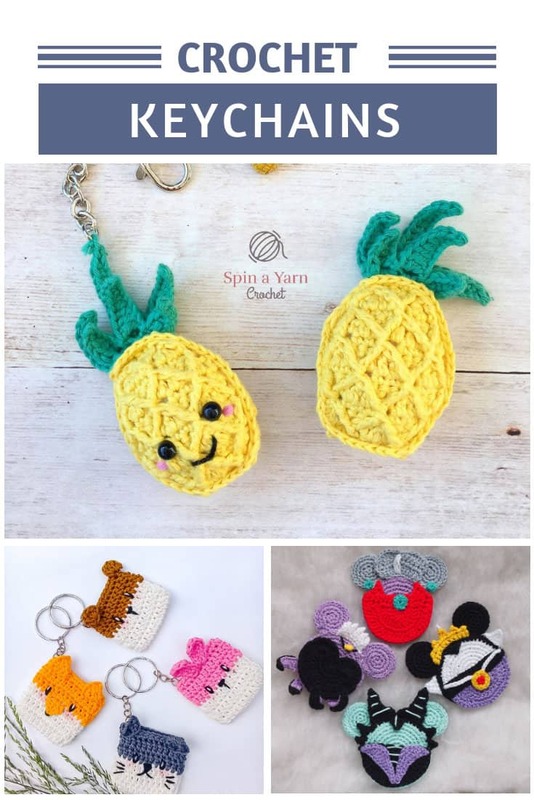 What’s not to love about sweet little Jack with his patch eye? 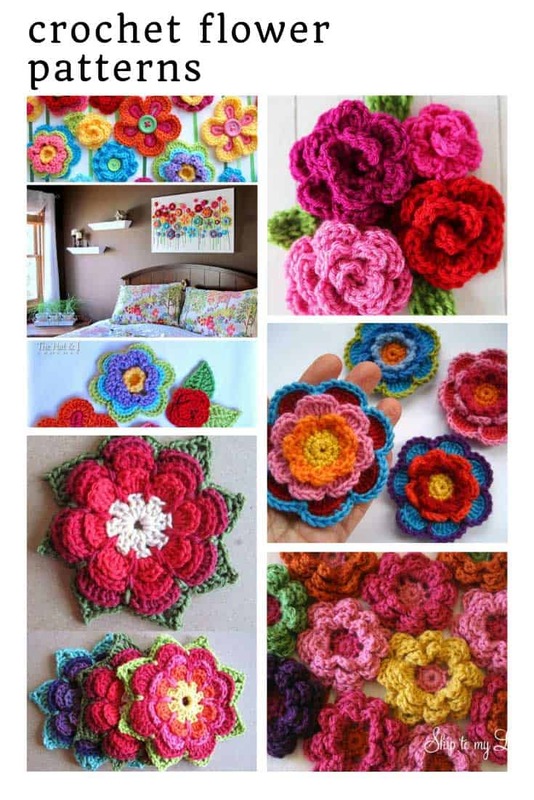 He measures about 9 inches when hooked with an 8 ply (light worsted) yarn and a 4.5mm crochet hook. 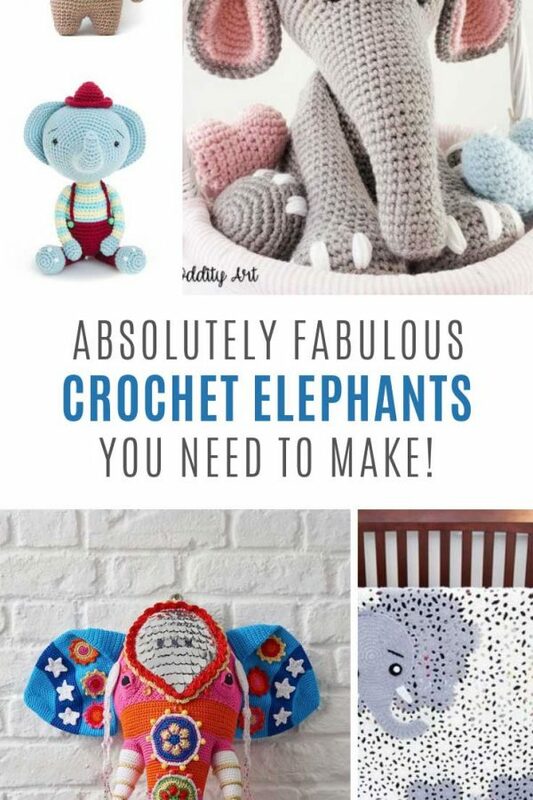 If you have beginner crochet skills you should be able to handle this project! 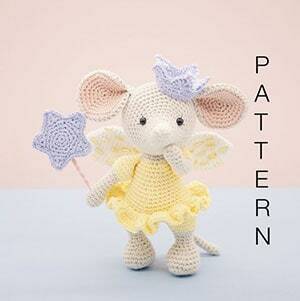 Ok I swear I had to look at this picture three times before I believed it was a crochet puppy! 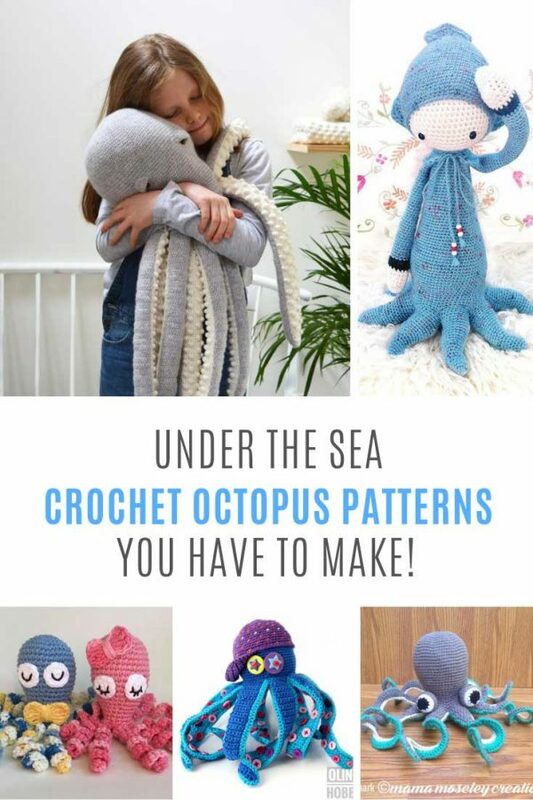 In fact even as I’m writing this I’m triple checking. My head is just blown at how REAL he looks! 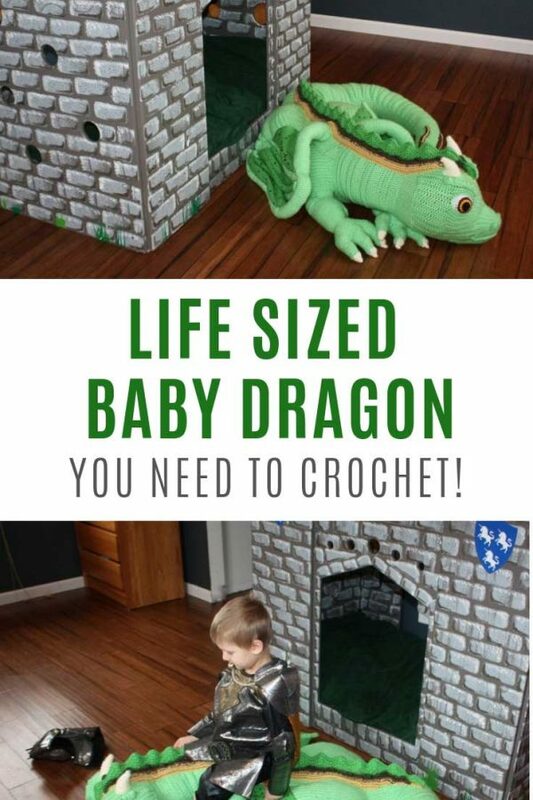 And if you work him up using Red Heart fur yarn he comes out life sized too! 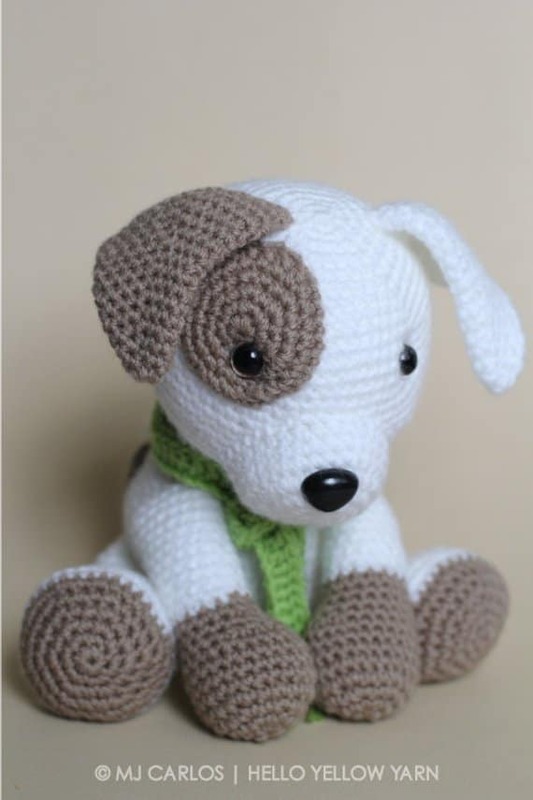 And now we’re back to a puppy who is obviously a toy but an ADORABLE one at that! 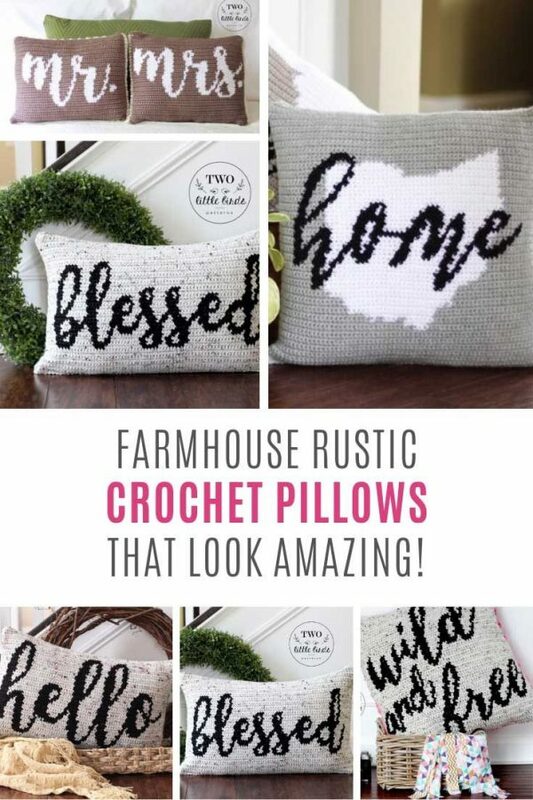 I love how his patch is stitched on with fabric, and that it can be worked up in pink or blue, making it a sweet baby shower crochet toy! 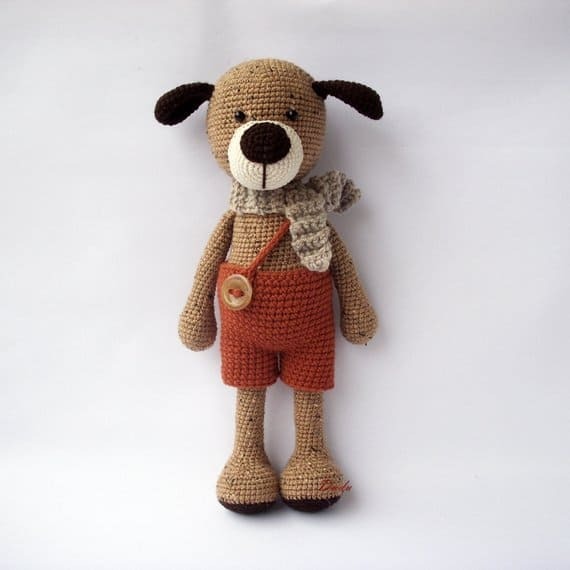 If you’re looking for a dog that’s more doll like complete with clothes then you need to meet Max! 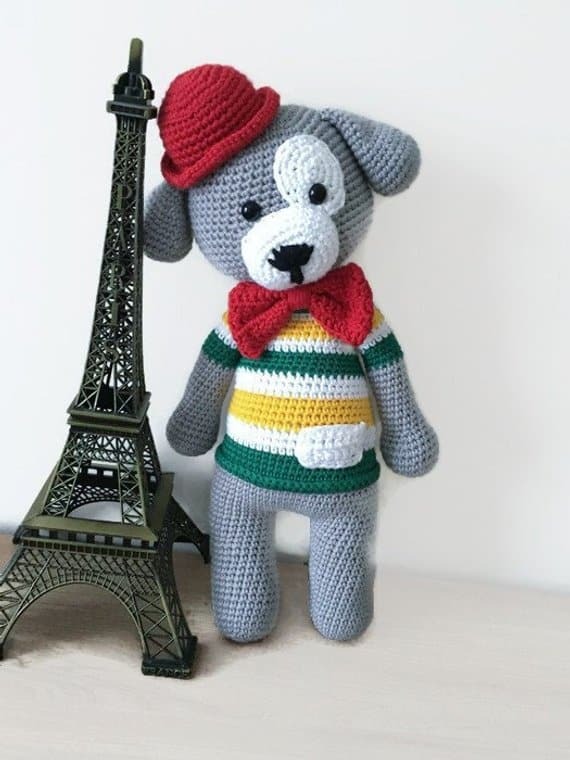 He looks so dapper in his shorts and matching scarf! 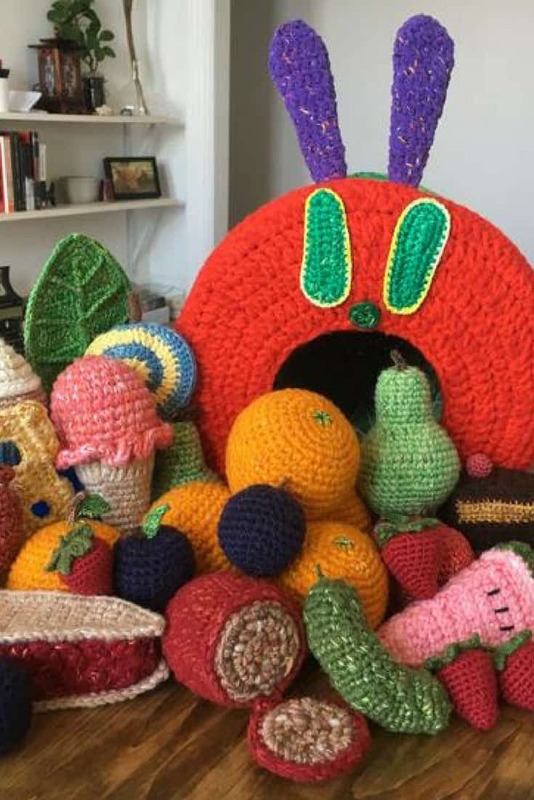 He’s sure to become a much loved playmate! 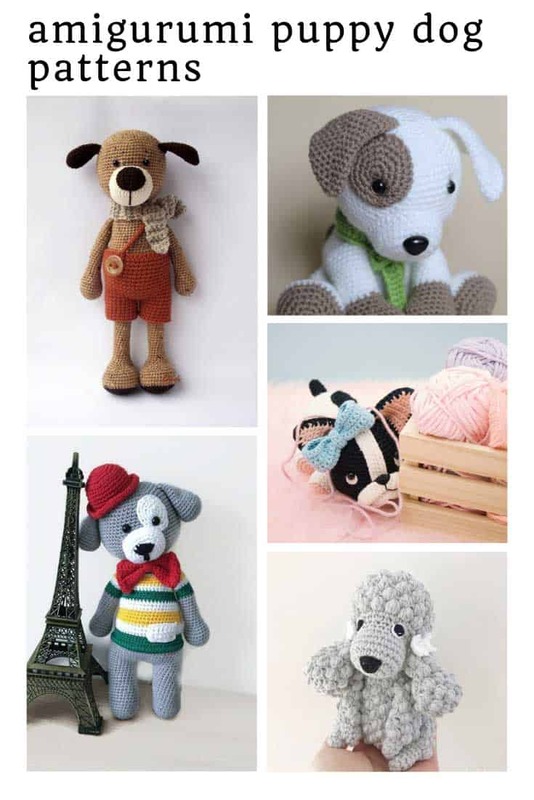 Or how about this adorable dog with his striped jumper and bow tie, he just loves to go on adventures around the world! 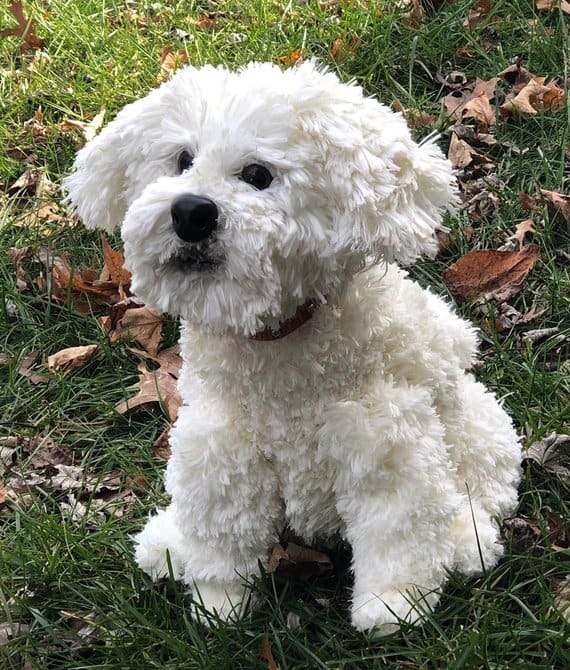 Elsa is a sweet, sweet poodle just waiting patiently for someone to take her home and love her to pieces! 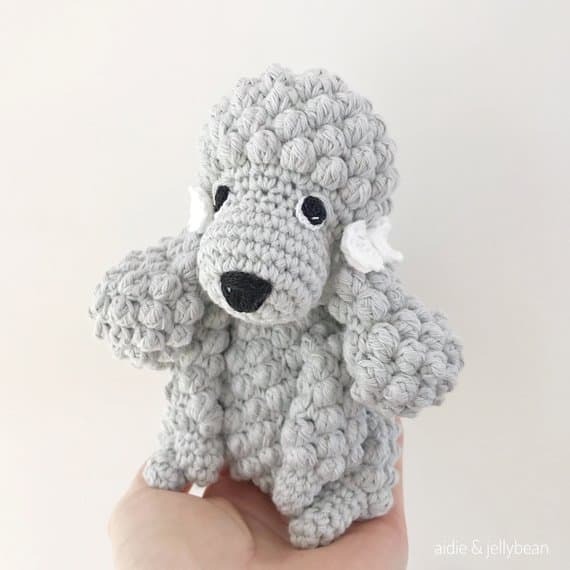 Don’t forget that the best bit about amigurumi is you can be really creative with a pattern to make something unique every time, so have fun with different yarns and colours to make a whole litter of poodles all different shapes and sizes! 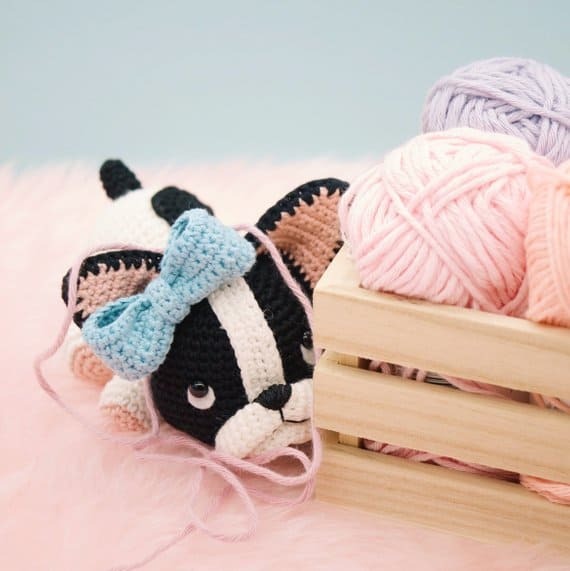 Now I have to confess that I am not a dog person in the slightest, but when I saw that sweet nose peeking out I pretty much fell in love with this boston terrier and she just made it to the top of my project list!